We tend to see a good amount of actors who start out on television either trying to make their way to film and do it with ease or find a career mostly in television. Here are the actors that have made the successful transition from TV to film. 10. Bryan Cranston: Cranston may have just finished Breaking Bad and may also be known for his work on Malcolm in the Middle, but by his recent success in film, it seems he might join the list of actors who were able to make this transition. He recently starred in the Best Picture winner Argo, as well as the box office smashes Godzilla and Madagascar 3: Europe's Most Wanted. So I feel that the odds are he'll do quite well on the big screen in the coming years. 9. Sally Field: Audiences "really liked" this actress on shows like The Flying Nun and Gidget, and she even scored an Emmy for her work on Sybil. But she definitely had quite a run on the big screen as she is a 2-time Oscar winner for Norma Rae and Places in the Heart. Plus, she also has Mrs. Doubtfire, Forrest Gump, the Homeward Bound movies, and Steel Magnolias. So, she has become quite a staple on both the big and the small screen. 8. Woody Harrelson: Before he became known to modern audiences for his work on films like The Hunger Games movies and Kingpin, and even his work on the HBO show True Detective, he got his breakthrough as the bartender Woody on TV's Cheers. Once that show ended, he made the impressive jump to film and made quite a varied resume in the process. He has his Oscar-nominated turns in The People vs. Larry Flynt and The Messenger, Zombieland, Natural Born Killers, White Men Can't Jump, and the list goes on. 7. Jim Carrey: Jim Carrey got his start on the famed sketch comedy series In Living Color. But once that show came to a close, Carrey brought his special brand of humor to the big screen and in the 90's, audiences just couldn't get enough of him. So much so, that he became a big star and would join the $20 million dollar club amongst others who command around that much per film. 6. Jennifer Aniston: Aniston may be best known for her role as Rachel Green in Friends, but nowadays, it looks like that audiences "will be there" for Aniston as she has had quite a run at the box office. Rom-coms may be known to be her bread and butter, but she has been able to mix it up with the wildly successful raunchy comedy Horrible Bosses as well as We're the Millers. Not only that, but along with Sandra Bullock, she has proven that women over 40 can still generate money-making hits. 5. Robin Williams: Williams may have made it back to television with The Crazy Ones recently, but his film career is definitely something to behold. He has Aladdin, Mrs. Doubtfire, Hook, Jumanji, Good Morning, Vietnam, and even his more serious turns that include his Oscar-winning work in Good Will Hunting. Plus, he has his famous work on the show Mork & Mindy, which he starred in before he made his successful breakthrough into film. 4. 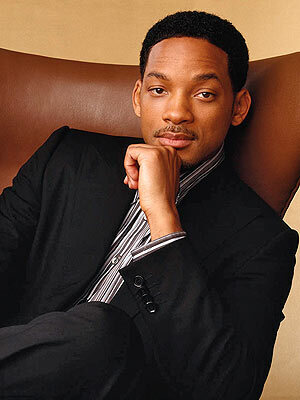 Will Smith: Just like Robin Williams, Will Smith first made a name for himself as a famous TV character, the Fresh Prince of Bel-Air. Once that show ended, he then made a "small" film simply known as Independence Day, which catapulted him to stardom and eventually led to his films having $6.63 billion in worldwide box office receipts. Plus, he has his music career to demonstrate his versatility as a performer. 3. 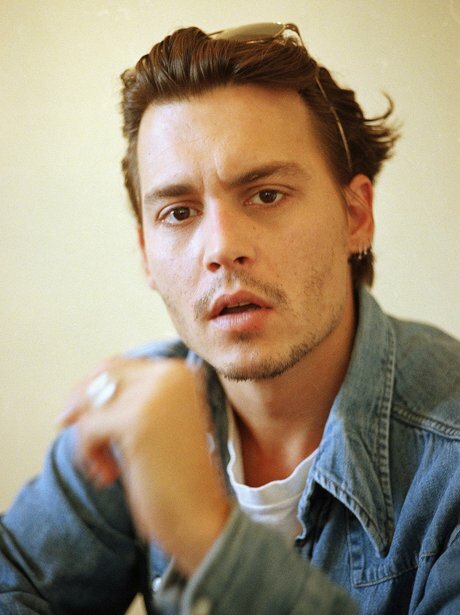 Johnny Depp: Before he became known as Jack Sparrow in the Pirates films and known for his partnership with Tim Burton, he originally became known for his work on the show 21 Jump Street as well as his film debut in A Nightmare on Elm Street before that. But after Jump Street ended, Hollywood began to take notice of his range as a performer once he played a bad boy in Cry Baby then the more lonesome Edward Scissorhands. Depp continued to show his impressive range in more films that followed and things really took off from there. 2. George Clooney: George Clooney first came to prominence as a suave doctor on ER and on the show The Facts of Life. He may have made Batman & Robin over the course of his time on ER, but the failure of that film didn't discourage him as he would not only go on to become one of Hollywood's more treasured movie stars but one of its most successful producers. Plus, he even managed to hit the director's chair and form collaborations with other directors among the likes of Steven Soderbergh and the Coen Brothers. 1. Tom Hanks: Once, he started out on the short-lived show Bosom Buddies. That was before Ron Howard came calling and gave him the lead role in Splash. That hit led to a string of light-hearted comedies before he began to change it up with his consecutive Oscar-winning turns in Philadelphia and Forrest Gump, which led to him becoming a more serious actor. Plus, like George Clooney, he has had quite a bit of success as a Hollywood producer as well as a genuine movie star. So, that was my list of the Top 10 Actors Who Successfully Transitioned From TV to Film. If you agree or disagree or thought I was missing anyone from the list, please share your thoughts in the comments section. Thanks for reading!